Within the high ceilings and starkly lit modern rooms of the Yale Art Gallery I found a garden, Claude Monet’s garden in The Artist’s Garden in Giverny, one of Monet’s many masterpieces not to be missed. Contrary to his plein-air style of painting, like many Masters we find his work encased in a museum centrally located in New Haven and in the heart of the Yale University campus. The museum is free to the public and includes a small European collection of Impressionist and Post-Impressionist paintings in its permanent collection. Impressionism is one of the most attractive movements in Western art, seducing us with its vividly colored and dynamically painted depictions of everyday life. Monet was truly a Master of Impressionism. In the late nineteenth century, Monet was the leader of the Impressionist group, an art movement which included other master painters such as Edgar Degas and Camile Pissarro. This group of independent artists banded together rejecting established styles, and asserting their independence from the Royal Academy of Arts’ official Salon, or annual exhibition. The Royal Academy of Art was one of the most significant professional art societies in Europe in the nineteenth century. Adopting new ideas, Impressionists used techniques such as short, broken brushstrokes that barely convey forms, pure unblended colors, and an emphasis on the effects of light. Impressionists often rendered shadows and highlights in color, rather than neutral white, grays, and blacks. The Impressionist movement initially had a derogatory connotation associated with it. The paintings of this movement were accused of being a sketch or impression, not a finished painting. This style, however, ultimately became widely accepted, even in the Royal Academy of Arts’ official Salon, as the new language with which to depict modern life. For this our lives are culturally richer a century later. Today, Monet’s garden is like a breath of fresh, Spring air amongst great works of art by Vincent van Gogh, Pierre-Auguste Renoir, Paul Cezanne, Camile Pissarro and Edgar Degas in the Impressionist gallery at Yale Art Gallery. 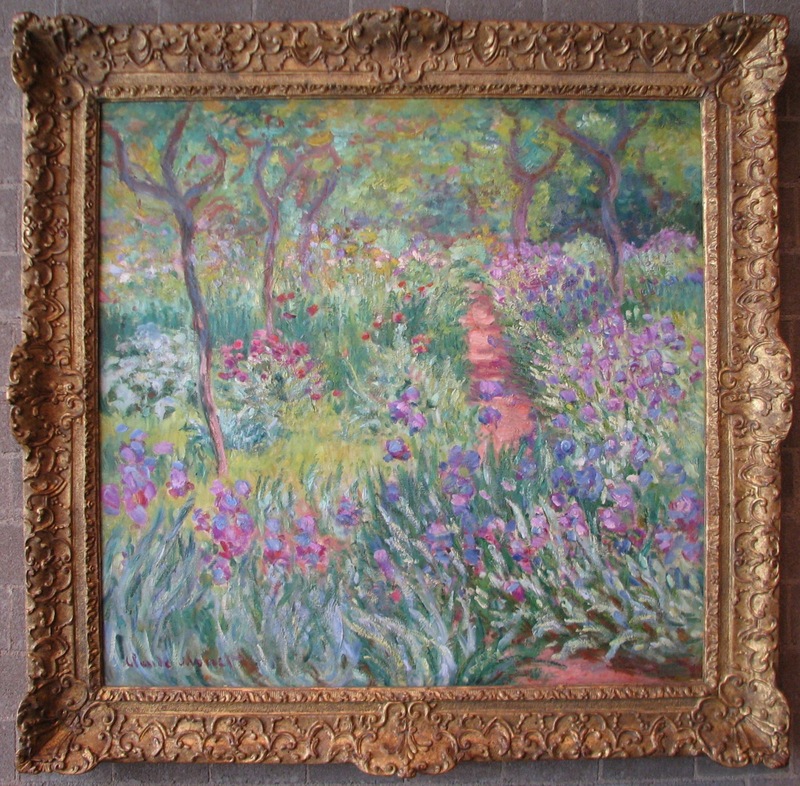 Framed in ornate gold, Monet uses a palette of blues and greens, lavender, purples, pinks and fuchsia in this rendition of his beloved garden which was a source of inspiration to him. This is one of many paintings Monet created later in his life of his garden at Giverny; each one revealing the garden’s beauty as it changed and the light changed during different seasons. Monet felt his garden at Giverny was his most beautiful masterpiece; a place of introspection and an escape to find peace of mind in the midst of nature. In his series of garden paintings Monet captured the mood and emotions he would draw from his garden, revealing not only his sensitivity to composition in the garden and on the canvas, but also his love for his garden. The Artist’s Garden in Giverny transcends me to this place of beauty. Looking closely at this painting I try to imagine painting it myself, using long brush strokes of brown and burnt siena to create the trees in the middle of the image. The trees are thickly leaved in varying shades of light and dark green in what must be Spring at Giverny. Using shorter brush strokes of blue and green, the whimsical grasses and flowers created by dabbles and swirls of pink and purple paint, seem to jump off the canvas. In the foreground is a trace of a path that draws us into the garden, mostly covered by flowers in bloom, it then peeks out in the center of the painting and vanishes into the thick of the garden or forest beyond. I can almost smell the sweetness of the blooming flowers and hear birds happily singing in this lovely place in which they make their home. Admiring the the painting from a distance the brush strokes almost become imperceptible. The work of art is asymmetrical yet balanced. A feeling of peacefulness and tranquility wash over me as I gaze at the painting. I wonder if perhaps Monet, also, experienced similar sensations as he looked upon this masterpiece more than a century ago. I take a deep breath as I imagine this place and Monet signing his name in fuchsia in the bottom left corner of the completed painting, amid the sea of colorful blooms and grasses. Monet’s painting reminds me of what we should expect of painting – evocations of beauty. In our fast-paced, tech-crazed world of today, it is little wonder why Monet, an artist of the nineteenth and twentieth centuries, remains one of the world’s most popular painters. His artistic mastery and originality are evident in his brushstrokes and capture of light, but it is the peaceful sensation that the viewer is compelled to experience that sets Monet apart. 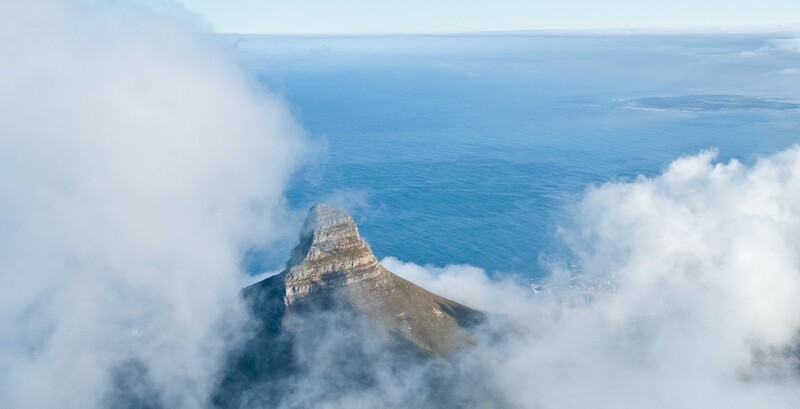 He teaches us to appreciate the natural beauty around us. He also shows us serenity and perhaps even gives us hope that we take some of that back to our everyday lives. As I leave the gallery and head out into the Summer heat baking the concrete city, the garden stays with me. I think about what might be growing at Giverny this time of year, how the light would fall on the garden, and what colors Monet would use to create another idyllic and ethereal rendition of his garden. Anderson, Janice. MONET. Edison, New Jersey: Regency House Publishing, Inc., 2006. Monet, Claude. The Artist’s Garden in Giverny. c. 1900. Yale University Art Gallery, New Haven, CT. Oil on canvas. Monet, Claude. The Artist’s Garden in Giverny. c. 1900. Yale University Art Gallery, New Haven, CT. Wikimedia Commons. Web. 23 July 2013. Rosenfeld, Ph.D., Jason. The Salon and The Royal Academy. metmuseum.org. The Metropolitan Museum of Art. Web. 24 July 2013. Samu, Margaret. Impressionism: Art and Modernity. metmuseum.org. TheMetropolitan Museum of Art. Web. 24 July 2013.